Arab-Israeli colleagues react to the departure of the last Palestinian SodaStream employees from the company's plant in the Israeli city of Rahat on Feb. 29. SodaStream was at the heart of a controversy in the Middle East two years ago. The Israeli company, which makes a kitchen gadget to turn plain water into a flavored, carbonated drink at home, came under pressure for being an Israeli company operating in the West Bank. Pro-Palestinian groups argue that Israeli businesses located there lend support to the Israeli occupation of the land Palestinians seek for their state. The flap only increased when Scarlett Johansson did commercials for the company. Now, SodaStream has left the West Bank. It broke ground on a plant in Israel in 2011, began operations there in late 2014, and at the end of last December, closed its West Bank factory for good. Over the course of this transition some 500 Palestinians lost their jobs. Between the government, the pressure groups, the company and the workers, who is responsible? SodaStream CEO Daniel Birnbaum says the company did not leave the West Bank owing to pressure but because it needed more space. He says revenue has increased fivefold since 2007, and the new factory in Israel's southern Negev desert consolidated jobs from operations in the West Bank, China, Germany and northern Israel. He also says he always wanted his West Bank Palestinian employees to keep working at the factory in Israel — in part to prove Israelis and Palestinians can coexist. But to enter Israel, Palestinians need permits. 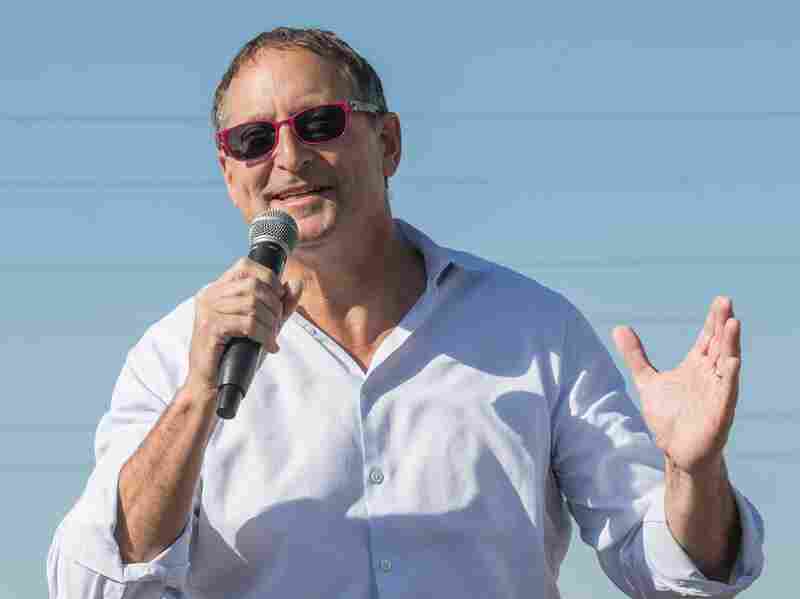 SodaStream CEO Daniel Birnbaum delivers a speech to employees at the company's Negev desert factory on Feb. 29. 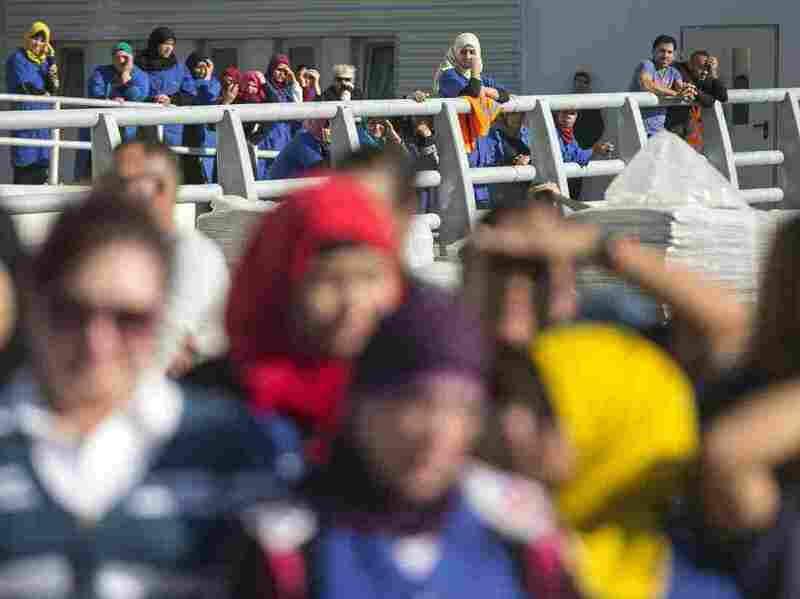 "We had about 500," Birnbaum said, referring to his Palestinian employees. 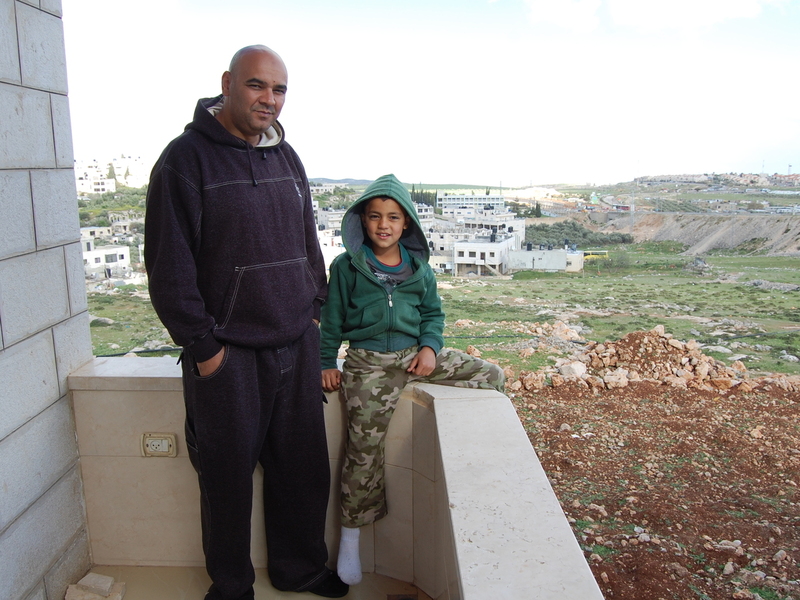 "We tried to bring about 350 in to Israel, begging the Israeli government to give me permits. And finally we landed 74 permits." So 74 of SodaStream's 500 Palestinian employees worked in the new factory for a year and a half, traveling two hours each way in company-provided buses. But earlier this month, the Israeli government rescinded those permits, some before they expired. At first, Birnbaum blamed government bureaucracy and said he expected Israeli Prime Minister Benjamin Netanyahu to sort things out. This week, he said he had learned the permits would not be renewed, and he accused the prime minister of forcing SodaStream employees out of work. "Those 74 Palestinians now cannot cross the border crossing and get to their jobs," Birnbaum says. "I have jobs for them in Israel, and Benjamin Netanyahu is not letting them get to their jobs. Now go argue this is not an apartheid state. And that's why I'm furious." His "apartheid state" comment gets at the real heart of this controversy. Ala Al-Qabbani used to earn about $1,500 a month as a line worker at SodaStream when the Israeli company manufactured in a West Bank settlement. When the company moved out of the Palestinian territory into Israel proper, he couldn't get a permit to enter Israel and keep his job. Now he makes a quarter of his old earnings, selling produce from a street cart. The main coalition working to force Israeli companies to leave the West Bank is known as BDS, or Boycott, Divestment and Sanctions. It is modeled after the movement that successfully isolated South Africa culturally and economically before that country's racist regime collapsed. BDS leaders say their aim is to end Israel's occupation of the West Bank, which has been in place since 1967, end discrimination against Arab citizens of Israel, and enforce the right of Palestinians to move to areas, now part of Israel, that they or their relatives left or were forced to leave during the 1948-49 war around Israel's declaration of independence. Many Israelis believe the true aim of BDS is to undermine the very existence of Israel. "Even if they don't say it, that's the meaning. There's no other way of understanding it," says Arie Reich, a professor specializing in international law at Bar Ilan University. He points in particular to the aim of permitting millions of Palestinians to live in Israel, which would potentially end the Jewish majority in the country. And although Reich claims the impact of the BDS movement has been limited so far, he has been actively involved in combating its efforts. "If you don't stop it, it could spread and become more problematic," he says. Nabil Bisharat (with his 8-year-old son) worked his way up over six years from the assembly line to management at SodaStream but recently lost his permit to work at the company's new facilities in Israel. He bought the empty land seen here behind his home with his high earnings at the Israeli company. Israel's government says its policy is to encourage jobs for Israeli citizens. BDS co-founder Omar Barghouti says SodaStream's decision to leave the West Bank was a result of coalition pressure. He is not surprised SodaStream tells a different version. "As in the South African boycott case, no major bank or company admits at first that the boycott and divestments are hurting," Barghouti says. "So we do not expect SodaStream to come out and say, 'Oh, BDS forced us to leave an illegal settlement factory.' "
One charge Israel levels against BDS is that by pressuring Israeli companies to leave the West Bank, the movement is hurting the very people it aims to help: Palestinians. In many Israeli eyes, SodaStream is a prime example. Barghouti criticized SodaStream for touting its wages and opportunities — now lost to Palestinians — as far superior compared with Palestinian companies, saying Palestinian business owners operate under severe restraints. He acknowledges some Palestinians do pay a price when their Israeli employers move. But he blames Israel for making Palestinians economically dependent on Israel, including through its occupation of the West Bank. "Israel has made many farmers go into the work factories because it confiscated our most fertile lands with its wall and illegal settlements," Barghouti says. Birnbaum says his desire to keep employing West Bank Palestinians at his new factory proves Palestinians could benefit from Israeli work opportunities even if companies move from the West Bank. He accuses Netanyahu of denying his workers permits only to point a finger — wrongly in this case, he says — at BDS. Netanyahu's office declined to respond to SodaStream's charges, except to say the permits were always known to be temporary and the government prioritizes jobs for Israeli citizens. An official in the prime minister's office also said the government had supported SodaStream's move with a grant worth approximately $7.5 million. Birnbaum says his new factory created hundreds of new jobs for Israelis, including underemployed Bedouin women, and points to the 58,000 Palestinians working with permits, as well as an estimated 30,000 to 40,000 more without, in Israel daily. "How is it that my 74 are going to take down the Israeli economy?" Now a freelance trucker, Mustafa Sharabati did not try to get a permit to work in Israel when SodaStream, his former employer, left the West Bank. The commute would have been two hours each way, and with the current violence, he felt afraid to travel into Israel. His earnings have dropped significantly; the father of four is now buying groceries on credit. Nabil Bisharat was one of the lucky 74 Palestinian employees who had been allowed to continue working in the new SodaStream factory until earlier this month. Over six years, he rose from assembly line work to managing more than 50 employees. He didn't mind getting up at 4 a.m. for the long bus ride to the new factory, or getting home after dark. The 48-year-old has always worked for Israelis, he says, but called SodaStream "the best." "It's a five-star company for Palestinians," he says, over tea in the lovely home he built with SodaStream earnings. "It's a good job, good salary, good conditions, and they treat all workers equal, all the same. I felt that. I lived that." A former SodaStream machine operator, Mustafa Sharabati, 31, echoed that sentiment. But he chose not to apply for a permit when SodaStream shut down in the West Bank. "It's too far away from my family," he says, "and I'm scared to travel in Israel." The current upsurge in violence makes him fearful of approaching Israeli checkpoints. Sharabati is now a freelance truck driver, but business is so slow, the father of four is buying groceries on credit. Money is the main concern of Ala Al-Qabbani, too. The 24-year-old had worked at SodaStream three years before the company moved and would have happily kept working for SodaStream in Israel. But he could not get a permit. Israel's first requirement is that Palestinians be at least 22 years old and married. Qabbani meets the age requirement, but he's single. He points out his conundrum. "There are girls, but I need to get money before I can propose." That will take a while. 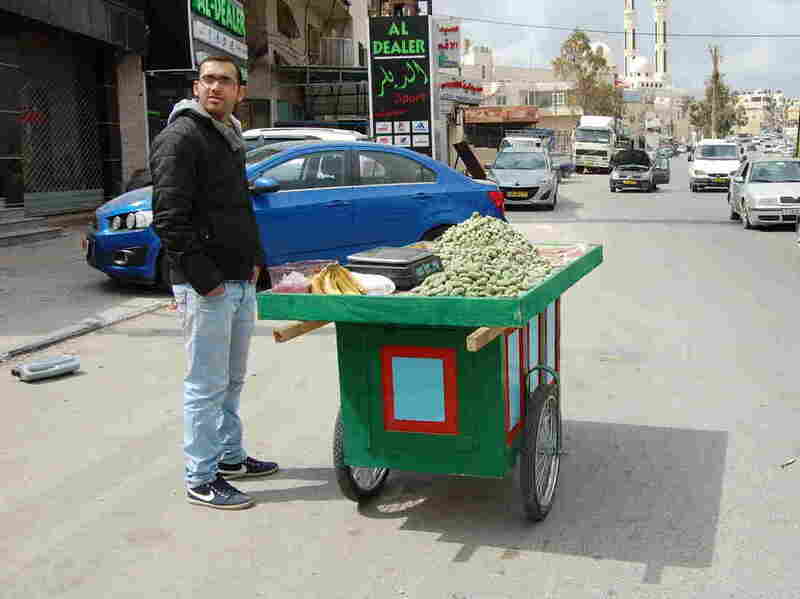 Qabbani now earns $12 a day, a quarter of his old salary, hawking produce from a street cart not far from where SodaStream used to be. A previous version of this story misspelled Scarlett Johansson's last name as Johannson.